A new video course you are all going to need. How many of you refuse to lie? How many of you tell the truth? How many of you lie to yourself all the time? 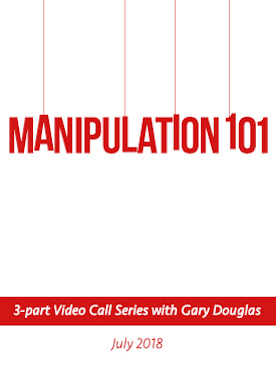 This video telecall with Gary Douglas will give you the tools to manipulate with greater ease and be aware of what people need to hear in order to make the choices they need to be able to make. The whole idea of manipulation is not about getting everything you want by using people, but rather about seeing what actually works for different things – and being very aware of what people need to hear in order to be able to make the choices they need to make. Manipulation is the game from which you can create greater possibility, not the evil of doing wrongness to others you think it is.